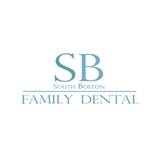 South Boston Family Dental (East Boston) - Book Appointment Online! Doctor Keck went out of her way to make a temporary crown for my front tooth and to discuss a dental game plan with me. I was only scheduled for an initial new patient visit/assessment, but ended up receiving a 90 minute emergency dental treatment session. She far exceeded my expectations. The entire staff was professional and helpful. Wonderful, she was kind and professional as were the rest of the staff. It had been quite awhile since my last dental visit and she didn't make me feel embarrassed. They explained everything along the way including insurance stuff as we made future appointments.